WWE fourth quarter earnings showed the company brought in tens of millions in additional revenue for its Crown Jewel event in Saudi Arabia and Super Show-Down in Australia. If you’re trying to do the math in your head, that means an additional $43 million — the bulk of which likely came from Crown Jewel and Super Show-Down. Back in the second quarter of 2018, we reported The Greatest Royal Rumble generated an additional $40 million in revenue for WWE. Q2 earnings showed $60 million in “other” revenue versus $12 million in Q2 of 2017. 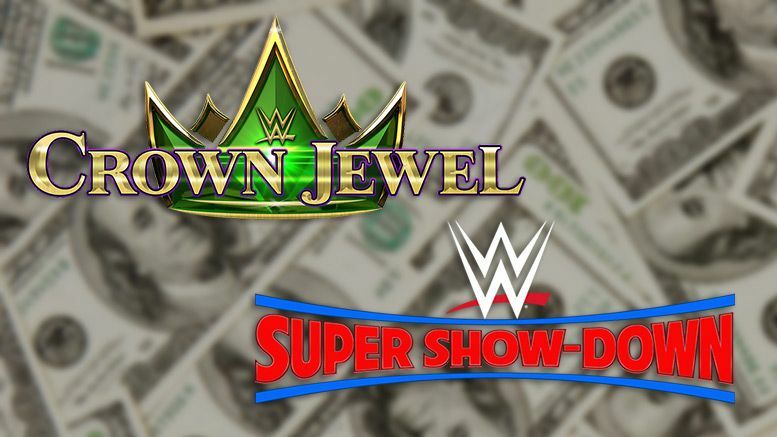 While we’d presume Crown Jewel generated more revenue that Super Show-Down, it doesn’t appear to have brought in the same amount as WWE’s original event in Saudi Arabia. Crown Jewel took place November 2 in Riyadh amid a cloud of controversy over whether or not the show should be produced. The event followed the killing of journalist Jamal Khashoggi. Stars John Cena and Daniel Bryan requested to not appear at the show. The broadcast instead featured the in-ring return of Hall of Famer Shawn Michaels and WWE comeback of Hulk Hogan. For 2018, the “other” category in WWE’s media segment saw nearly $100 million in additional revenue. The bulk of that would’ve come from Greatest Royal Rumble, Crown Jewel, and Super Show-Down. It’s worth noting WWE saw year-to-year growth in all major media segments including network, core content rights fees, and advertising and sponsorship. WWE continued to see revenue drop for live events, however. In Q4, WWE brought in $34 million compared to $35 million in the same time period the preview year. Full 2018 live events were off roughly $8 million from 2017.